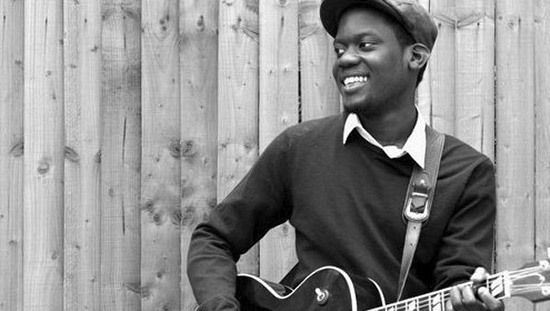 Rosie and Wired Strings have been busy recording several tracks with inspiring British soul singer -songwriter, Michael Kiwanuka and producer Inflo, at Metropolis studios in London. The string arrangements evolved through collaboration between Rosie, Michael and Flo, and were then developed further throughout the string sessions. The results were a melding of ideas that resonated with all of us in a magical way. Michael's album is going to be nothing short of incredible. 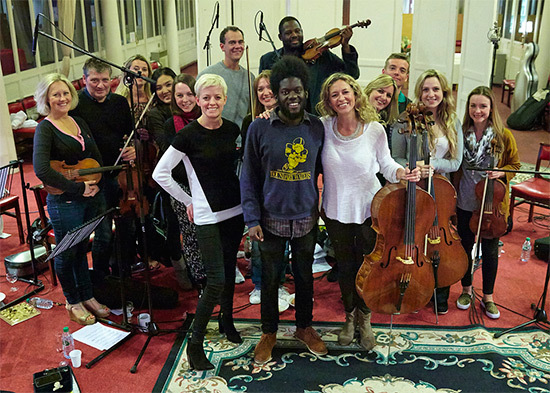 Rosie Danvers, Michael Kiwanuka and Producer ‘Inflo', with Wired Strings at St Mary Magdelene Church, Islington, London. September 2105.